There is a huge Memorial Day show coming up in Richmond, Virginia on the 23rd. 8 bands total including White Knuckle Driver from California! Vendors, Strong Man Contest, and more. Show starts at 12 noon. 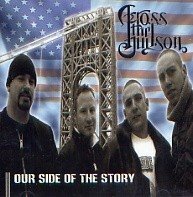 (Lyrics) Across The Hudson- H.A.D. Final War- Live Sleipnir performing Das Ende at Fest Der Volker. This is available on the Werde Aktiv dvd available at the Label 56 website.